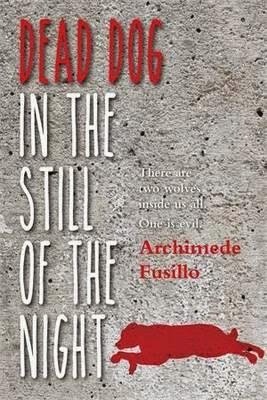 Dead Dog in the Still of the Night is Archimede Fusillo’s fifth novel for the young adult readership. Like his other novels, this story takes us on a very real and relatable journey through the turbulent life of Primo. Primo is trying to finish his VCE, but things at home aren’t making it easy. His Italian father, riddled with paranoia and delusions from the onset of dementia, is an ailing womaniser now in a home. His Irish mother is exhausted and depleted, not only from looking after his father, but also from years of forgiving her husband’s infidelities that have torn the family apart. Primo’s brother, Adrian, has followed in his father’s footsteps and has moved back home after his wife caught him cheating with another woman, Crystal, who is now making things even more difficult for Adrian. If that weren’t enough, Primo’s own relationship with his girlfriend Maddie is on unsteady ground. Primo is angry at his father and brother for their actions, disappointed that his mother kept forgiving his father and confused at how his life became such a mess. Buckling under the pressure of it all, Primo makes the wrong decision to take his father’s dust collecting, prized Fiat 500 classic red car – Bambino – out for a drive to see Maddie. But the car far from impresses Maddie and after an argument about a broken promise, Primo reels the car out of control and crashes the passenger door. Desperate to fix it before anyone in the family finds out, Primo asks his best mate, Tones, for help. The crash leads Primo and Tones down an unredeemable path that isn’t so easy to turn back. A series of events – a dead dog, a mindless scare, the bashing of his brother Adrian, confrontations with Crystal’s brother and the unravelling of the family – force Primo to make some hard decisions about the type of life he wants. This story races through uneasy terrain, shedding light on and raising questions about family, trust, friendship, promises, betrayal, forgiveness, strength, consequences, finding oneself and the choices we make. Fusillo does this with a touch of heart-warming grace. The characters in Dead Dog in the Still of the Night fly off the page and dialogue is colloquial and fast-paced. His turn of phrase, written in such a hard hitting and artful manner, takes readers right into the heart of this story and keeps them there. Sometimes the idea and the execution don’t match up. Sometimes there is more to solving the problem than the solution you first thought of. That’s how it is with Primo, the lead protagonist from Dead Dog in the Still of the Night. His father is in a nursing home, his mother is at her wits end, and one of his older brothers, Adrian, has been forced back into the family home after being away for several years. Primo, which means first in Italian, is neither the first born, nor the first son, in the Nato family. But for years now he has been the male in the household, helping his mother, trying to keep his relationship with the beautiful and clever Maddie on track, and dreaming about finally getting his driver’s licence so he can get behind the wheel of his father’s prized car, the Fiat 500 Bambino – a motoring classic, and the pride of his father’s life. Year 12 is making demands on Primo’s time, demands he can’t seem to keep pace with, not when there is the real possibility that Adrian will be divorced soon and forced back home for good. Not when Maddie has started putting the pressure on about the two of them jetting off to Europe as Primo had promised her he would once he got through the last of his secondary school years. And not when the eldest brother Santo decides he will assert his position by reopening the once profitable, but long ago abandoned service station, and use the Fiat as the centrepiece for attracting cashed-up clients. So when Adrian finds himself cornered by the woman who accuses him of sexual harassment, when his wife threatens to take their daughter from him, Primo steps in to take advantage of the situation by offering a quick-fix solution to his brother’s problems-and make much needed cash in the process. The problem is the dead dog that Primo’s best mate Tone has in the back of the hearse he uses to deliver the pizza’s for his father’s pizzeria. The dog Tone ran over accidentally but never got round to burying. The mangy, rotting dog Primo decides to dump on the doorstep of his brother’s spurned mistress in the misguided belief it will act as a warning for her to back off. What Primo can’t know yet, what he can’t factor in, are the tendrils of association between the woman, his part time job, and the stench of misplaced bravado that could lead to catastrophic consequences for each member of his family, his father included. Dead Dog in the Still of the Night is a novel about the price paid for loyalty, duty and obligation within families, between friends, and the shortsightedness of acting out of self-interest and resentment. It is a story about the ability of mateship to offer hope and redemption, and the power of love within family to heal the deepest, most bitter hurts. A must read for anyone from primary to secondary.